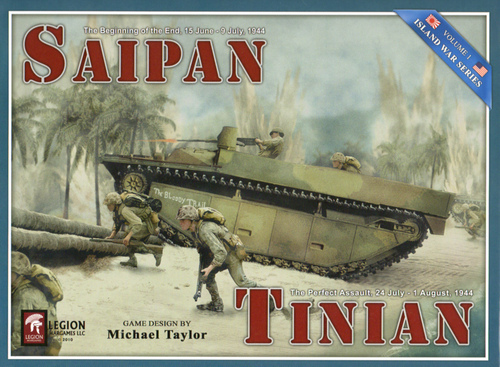 Saipan is a simulation of the American invasion and capture of Saipan in the summer of 1944. 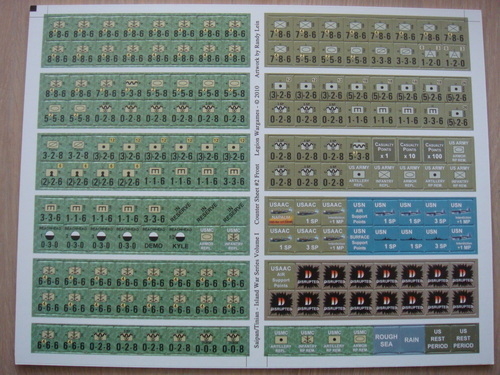 Part of Admiral Nimitz's Operation Granite II, the seizure of the Marianas was divided into two parts, the Northern Troops Landing Force (NTLF) and the Southern Troops Landing Force (STLF). 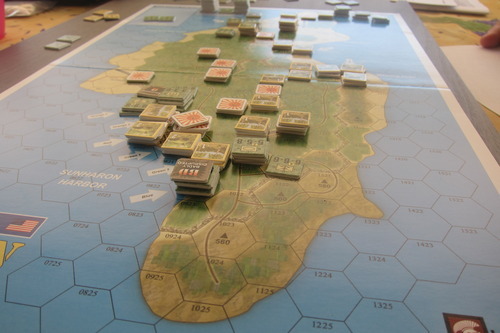 Saipan and Tinian were the objectives for the NTLF, with Saipan being the immediate objective and Tinian the second. 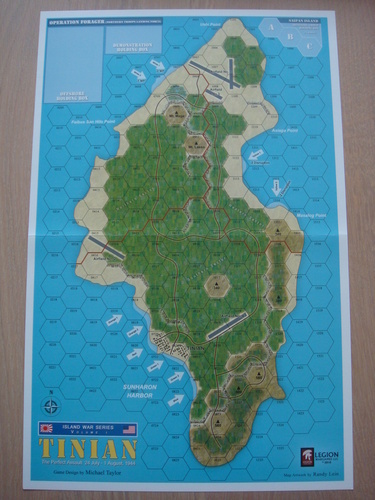 The STLF objective was Guam. Before the Capture of Saipan both the US Navy and the Japanese Navy had powerful carrier based air forces, and with the exception of China based aircraft, no US land based aircraft could reach homeland Japan. After the capture of Saipan only the US Navy had a powerful carrier based air arm, and powerful land based bombers could now bomb Japan relentlessly. 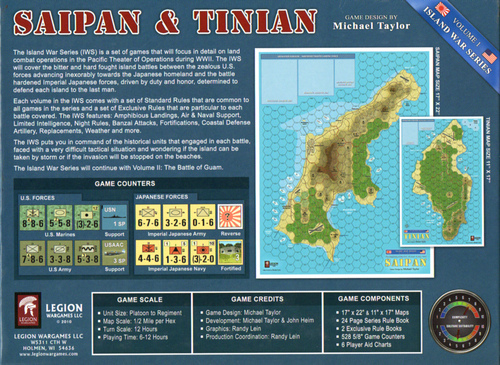 Tinian is a simulation of the American invasion and capture of Tinian in the summer of 1944. Tinian was the first US Marine Corps sized shore-to-shore operation and it was the first time napalm was used against enemy troops. After its seizure Tinian was developed into the greatest B-29 base in the war. B-29s from Tinian flew 29,000 missions and dropped over 157,000 tons of bombs on Japan by the end of the war, including the two atomic bomb missions flown by the "Enola Gay" and "Bocks Car" against Hiroshima and Nagasaki.